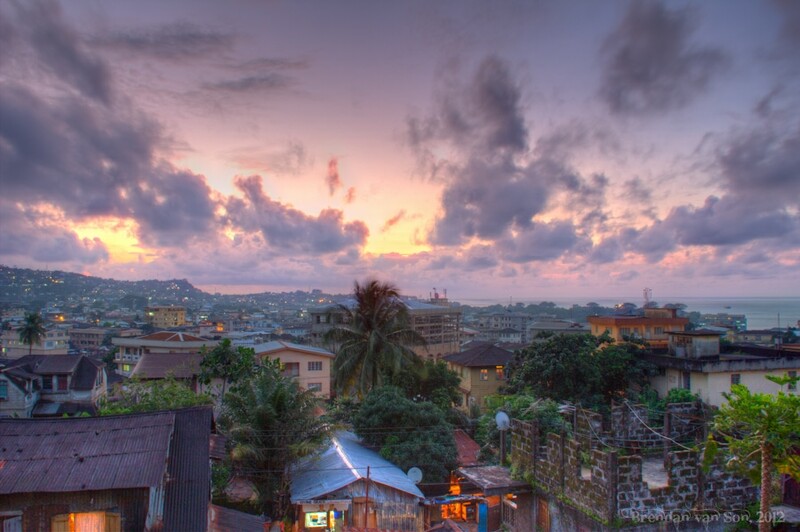 I had no idea what to expect when I rocked up in Freetown, Sierra Leone the first time. The only two images I had in my head before visiting myself were two scenes from the movie “Blood Diamond”. The first of a beach bar and the second of that same beach bar covered in bodies. Fortunately, the beauty of travel is that you get to create your own images of a certain place, as long as you have the courage to visit it. And at the end of the day, more often than not you’ll create a completely different image than the one built for you based on stories. This photo taken over the west side of downtown Freetown shows the city in a completely different light than most are used to seeing it. For that reason, I love the photo. Sometimes in photography there’s nothing you can do, you just have to be at the right place at the right time. I arrived in Freetown after a hard day of travel, and since I arrived quite late I was forced to overspend my budget on the only hotel available. Luckily, the hotel had a great view. The technical side is almost irrelevant, sometimes you just have to get a room with a view. Our perception of something or someone is often our reality! . . .until of course we invest our time and energy to go there and see it for ourselves or to get to know someone! Then often our perceptions change! Wonderful shot! I love the hues and warm glow of dusk! Dusk makes everything more inviting!! It is so wonderful that you have captured, and have been captured by the charm of a place many do not know a lot about. I had the same transition. It’s a stunning place. Lovely photo, was it sunset at that time. Just wondering there were lots of houses where you were staying with tin roofs. Shalu – Thanks, yes… most of the housing actually has tin roof. In the poorer neighbourhoods the entire houses are made of tin. Hi Brendan, beautiful pic. Do you remember what lens you were using? Thanks! This was on my old crop-sensor camera, and likely just a 18-55mm lens.